There is something to be said for pre-lit artificial tabletop Christmas trees when it comes to decorating this holiday season. I actually have a gold wire tabletop tree but sometimes it would be nice to have something that resembles an actual tree on the dining room table. My cousin could benefit from something like this. I know she has been looking to downsize this year and having a tabletop tree would really help with that. They come with beautiful lights and sometimes even have extra ornamentation. If I bought one of these little Christmas trees, I would use it in addition to my normal artificial tree just to add something a little extra to my normally home bare decor. It would add something bright to the dining room table with the assumption that my cats can manage to not destroy it sitting there. They could easily be pulled out every year and used alone or in conjunction with a full size real or artificial tree. 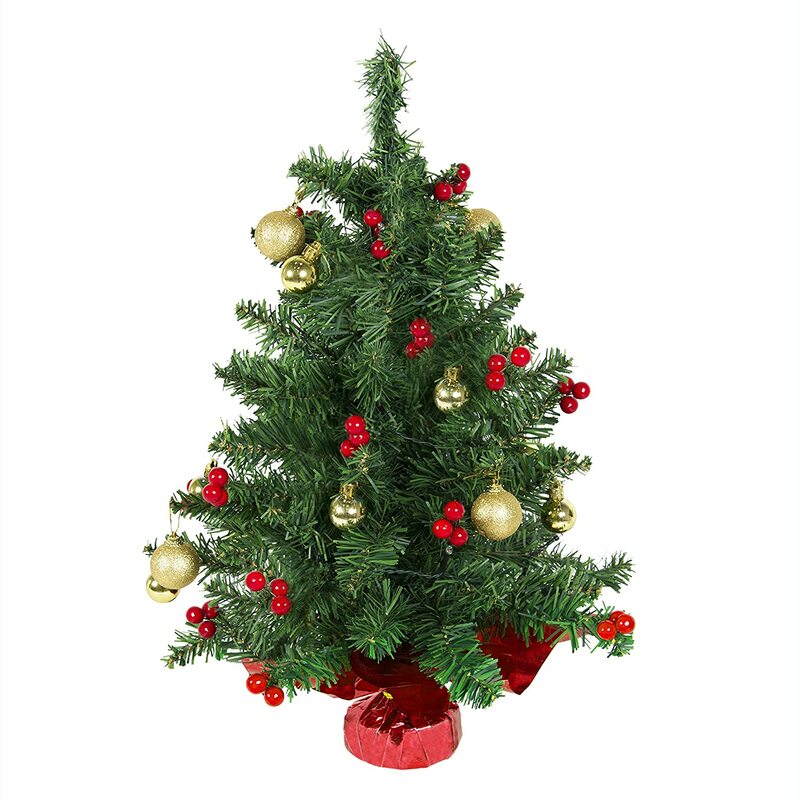 My favorite thing about the tabletop Christmas trees I found is that they all have a nice full branchy feel to them I looked for ones that all are at least one foot tall but less than 20 inches. This makes them a great size to do a multitude of things with them including putting them on dressers, mantles, tables, etc. to add some extra holiday cheer to your home. Even better, trees at this size are also very mobile so they can be brought to your office or business to put on display without the hassle of having to add your own lights and such. 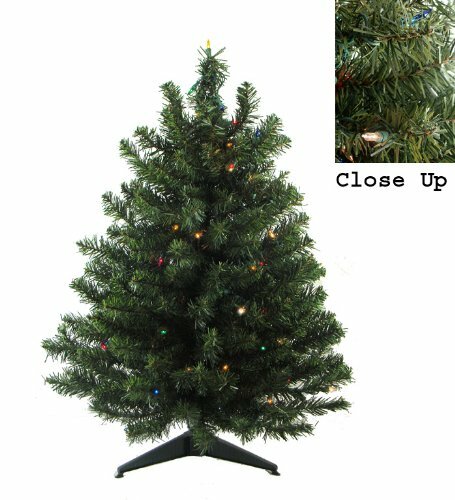 I poked around online looking for trees that not only resembled an actual tree but also have an elegant display of lights. Anything that makes my decorating even one step easier sounds like a big plus in my book. These are also fairly cheap with the one foot tall trees costing less than $10. Because I really have to think about my cats, one of which really enjoys eating things… I would consider buying one of these for my workplace and not for my home since the cats can currently reach anywhere I would place it on display. My favorite is by far the Christmas Tree Fiber Optic with Lights because it uses multi colored lights and has an adorable decorative base with a snowman on it! This just screams holiday spirit to me. 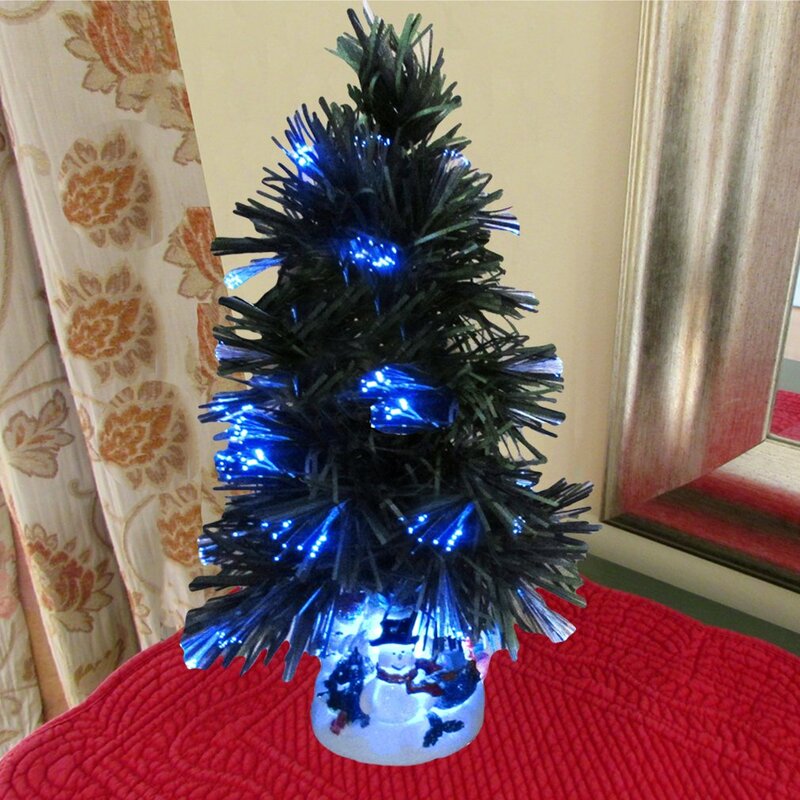 Would a pre-lit artificial tabletop tree do well in your home?